A dental emergency is always a stressful situation, but it can become absolutely nerve-racking when your dentist is out of the office. Whether it’s late Saturday night and your dentist won’t be back in until Monday, or if your dentist is out of the country on 2-week vacation, a dental emergency can be difficult to manage on your own. There are some basic things that you can do to prevent or cope with dental emergencies when they occur. 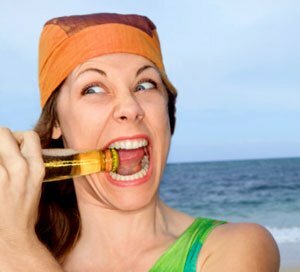 The best way to handle a potential dental emergency is to avoid it in the first place. 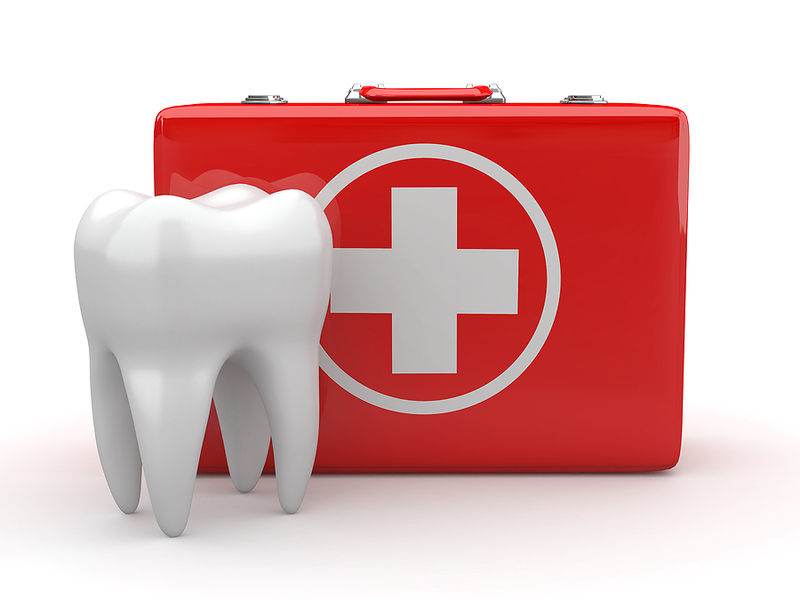 The most common dental emergency is pain or swelling from an infected tooth. In most cases, this does not happen suddenly, overnight. Typically, a person has some degree of pain or discomfort for several days or even longer before they are in severe pain and in need of emergency dental care. The best advice is to visit the dentist at the first sign of any discomfort in the teeth or gums. If a dental emergency does occur when your dentist is unavailable, there are several things that you can do. Pain in the teeth or gums can often be effectively handled with over-the-counter pain relievers such as ibuprofen (Advil®), naproxen (Aleve®), or acetaminophen (Tylenol®), to be taken as directed. Rinsing with warm salt water (a teaspoon of salt in eight ounces of water) can help temporarily relieve puffy or swollen cheeks and gums. Some-store bought products like Orajel® can also be effective in relieving minor soreness of the gums. If you have a broken tooth, a piece of wax or even some soft chewing gum can cover a sharp edge until you can get to the dentist. Your dentist should also be available for advice if a dental emergency occurs. Thanks to cell phones and answering services, patients can often reach their dentist after office hours. This gives the dentist the ability to contact the pharmacy for antibiotics and pain medication should they feel that patients need them. If your dentist is going to be out of the office for more than a few days, he or she should have another dentist available to treat any dental emergencies that may occur.